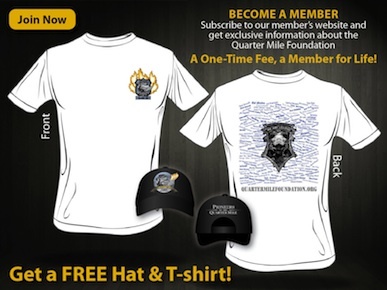 Why Support the Quarter Mile Foundation? 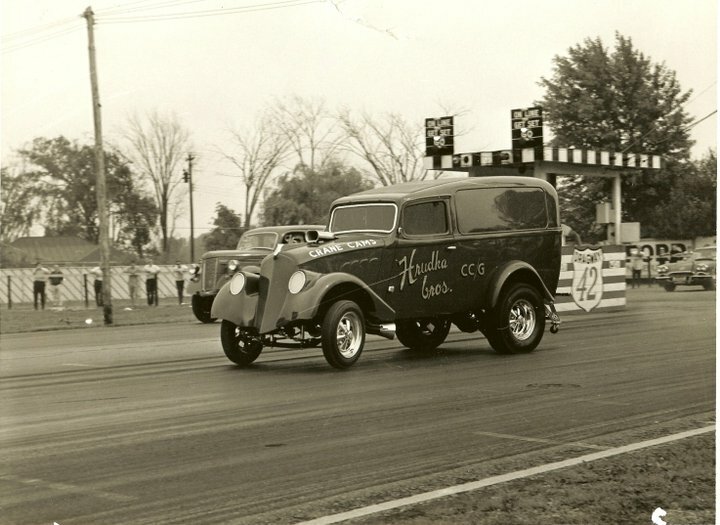 Even for many fans of drag racing, little is known about the origins and pioneers of the sport. To date, the only historical documentation has been created in sporadic segments, and is largely unavailable to the public. The Quarter Mile Foundation’s PROJECT 1320 television documentary film series will be the first comprehensive documentary of drag racing and the automotive performance aftermarket, created by insiders of the sport and industry who seek to share their passion with hardened fans and the uninitiated. The American romance with the automobile is well known, as is our national fascination with speed and technology. Drag racing was born out of these passions when soldiers, mechanics, and engineers returning from World War II transitioned their wartime skills into amusing themselves by making better, faster cars in their spare time. In garages and back lots, young men and women employed their technical know-how by souping up the family car. Then groups would gather on country backroads, unused airstrips, and dry lakebeds to test their engineering and courage against their neighbors. Because of limited space, the races were generally limited to a quarter mile track. It did not take long before drag racing captured the public’s imagination and became an institution. Popular movies and songs of the 1950s and 1960s used the sport as a symbol of youth, daring, and freedom. The Beach Boys, Jan & Dean, American Graffiti, Grease, Happy Days, 77 Sunset Strip and countless other movies, actors, and musicians found their inspiration on the asphalt. Teen hearts quickened at the revving of an engine, and all of Hollywood’s A-list movie stars wanted to be a part of the sport that epitomized American culture. As interest grew, the cars got faster. With no existing manufacturer for racing cars, racers began to make their own parts, building cars out of airplane parts and welding up ever-sleeker chassis and building more powerful engines in the quest for speed. Many of these parts were improvements on existing automotive technology that proved useful even for everyday cars. The aftermarket industry sprang up around drag racing, encouraging generations of entrepreneurs to build parts for race cars and for the blossoming muscle car era, and profoundly influencing mainstream automotive technology. Today, drag racing is one of the most popular sports in the United States and Canada. The National Hot Rod Association (NHRA), drag racing’s premier sanctioning body, is the world’s largest motorsports sanctioning body with over 80,000 members. There are over 5,000 tracks in the United States and Canada catering to hundreds of events and hundreds of thousands of fans. The cars are masterpieces of technological innovation: Top Fuel dragsters are the fastest accelerating manned vehicles in existence, quicker even than the shuttle at launch, capable of reaching speeds of over 300 mph in less than 5 seconds. The automotive aftermarket has grown along with the sport. Many professional drag racers also participate as engineers and entrepreneurs; transitioning the skills they learn on the track into practical products to improve the appearance, safety, and performance of street cars. In the US alone the automotive aftermarket is estimated at over $250 billion, employing over 4.5 million people. The all-volunteer board of directors and advisory board of the Quarter Mile Foundation are comprised exclusively of people who have long histories with drag racing and/or performance aftermarket, and are personally involved with the sport and the industry. With your support we will be able to dedicate more time and resources to the documentary. This will also rapidly close the window of opportunity to reach the legendary figures of the sport and the performance industry before it is too late, since many of these remaining figures are elderly, and in some cases, chronically ill.
Increasing the number of interviews, and accelerating the pace of the massive task of pre-production — cataloguing the interviews for the topics discussed, digitizing and the historical footage, and matching topics and footage — will enable to the Foundation to complete this huge effort. By joining with the Quarter Mile Foundation, your support will help preserve the stories of the daring and brilliant pioneers that helped to shape American culture and help to make the automobile what it is today. These are the stories of the American dream, creating greatness from nothing but seemingly impossible dreams. This spirit of innovation, technological exploration, competition, and entrepreneurship is still alive today, and more important than ever as we move into the 21st century. 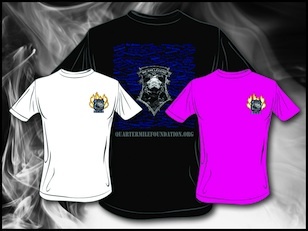 Your monetary support will assist the Foundation to get the PROJECT 1320 undertaking to the finish line, and beyond. For more information, click here.